Standfirst: Gazing into the spreadsheet, it feels like there isn’t enough time. But for what? My gaze diverts from the spreadsheet filled with numbers and diagrams, and I stare out my office window, searching. For what is not clear. Tears well up. I am fragile in this moment, but contain my tears, breathe in, sigh, and divert my gaze back to the all-important spreadsheet. In January this year I landed in Chennai where I met what would be my project team for the next three weeks. We were eight: a lead architect, a trade teacher, four carpentry students, one plumbing student and me, an environmental engineer. On previous trips the local Indian NGO, Satpuda Vikas Mundul (SVM), had requested assistance from their community partner CERES in Brunswick. SVM wanted to improve the poor state of the teachers’ quarters at the local primary school, an important task it the school was to attract and retain good teachers, particularly women teachers, of which there was currently only one. The aim of this trip, then, was to design and build a pilot teachers’ quarters based on sustainable principles, integrating environmental, social and economic concerns. We were exploring alternatives to the coal-fired brick, cement and reinforced steel houses that are currently overtaking both the city and the countryside. This was the first phase of an ambitious master plan to revamp the primary school with sustainable built classrooms, accommodation, fourteen teacher units, and kitchen and toilet facilities for 400 students in a remote tribal school in Jamnya, Central India. We had no idea what to expect when we arrived in Jamnya. Smiling, inquisitive children shyly congregated around us with their big fragile eyes and dirty faces. Teachers greeted us with warm handshakes and optimism. Nearby, subsistence farmers dressed in loincloth loitered curiously, together with their jewelry-wearing cattle. 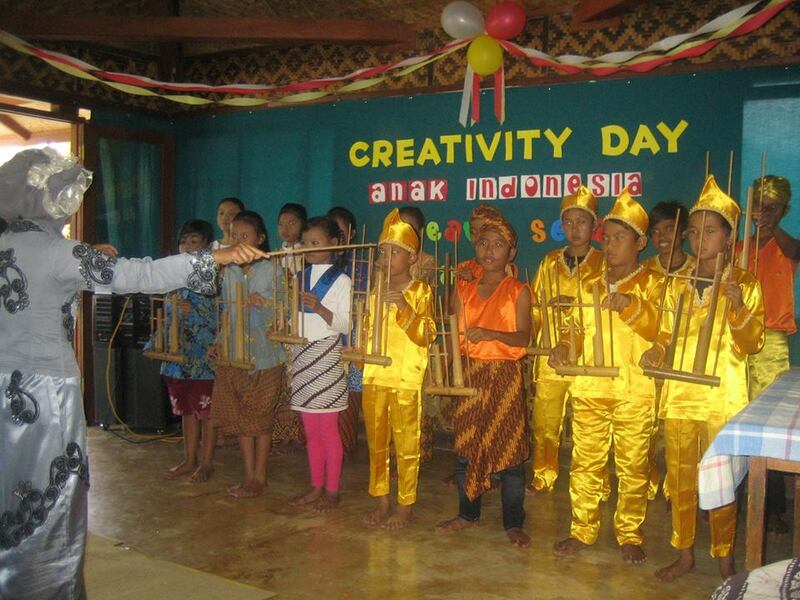 We were the first foreign group to stay in the Jamnya community. It was probably as strange for them as it was for us: seven burly men and one woman, ages ranging from twenty-one to forty-five, from a mix of English, Asian and European cultural backgrounds, plonked in the middle of a remote mountainous village. 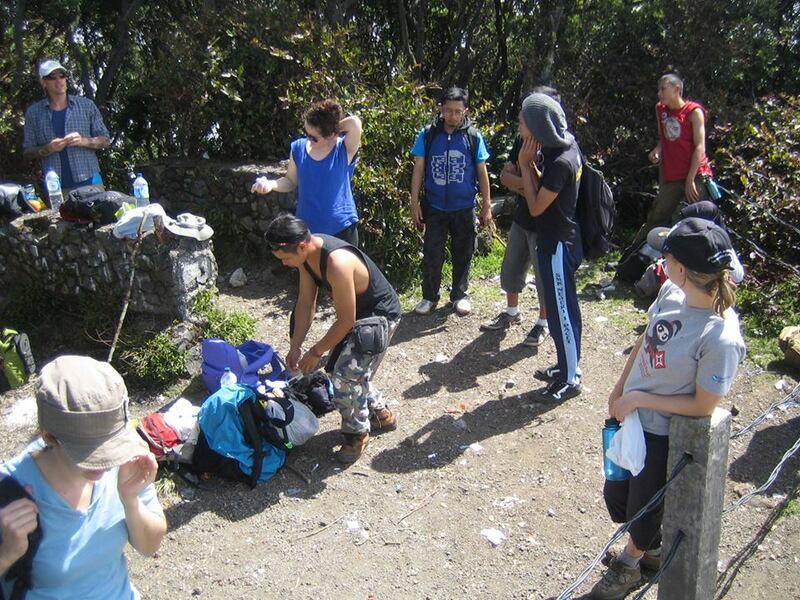 During the trip, we were challenged on both a physical and professional level. On a physical level, we had to let go of our creature comforts. There was no beer and steak to help unwind in front of the telly after a hard day’s work. Our accommodation was basic─ squat toilets, bucket showers, no running water, beds with wafer thin mattresses and a poor excuse for a pillow, no internet, no phone reception, only sporadic electricity. Despite this, we were living in five-star accommodation compared to the actual living quarters of the teachers and the local homes. Our accommodation actually had four solid walls and a roof to keep us warm during the cold nights. Drinking water as brought in, as the village only had bore water. Water for our evening showers was heated each night on the wood fire. A gas cylinder and stove was sourced from the nearly town, as LPG is only provided to those fortunate enough to be registered and with enough money to pay for it. We even had a cook who prepared some of the most delicious vegetarian meals I have ever eaten, made with love and always served with a friendly head wobble and glowing smile. On a professional level we were also challenged. We had to adapt our outcomes-orientated mindsets to the ebb and flow of village life. Food, water, shelter and family were the priority. Each day unfolded like a ‘choose you own adventure’ book. Our plans for the day might be deterred by an impromptu game of cricket with the school kids, or delayed by a missing or non-existent building tool. We had discussions with the teachers, local women’s group and local trades people. We investigated what materials were locally available and assessed the most appropriate building materials, including bamboo and earth. We did whatever small jobs could be done with whatever material was available. Water tanks were installed alongside the girls and boys toilet block so the kids could wash their hands. The septic tank on the boys toilets was fixed so the effluent did not run straight into the nearby creek. Leaky taps and pipes were repaired, stopping valuable drinking water being wasted. The site for the teacher’s quarters was marked out and inaugurated with a coconut-cracking and incense-burning ceremony. Teachers, students and local trades people all helped to lay the stone foundations of the teacher’s quarters. Despite the lack of machinery and electrical equipment, and what at times seemed difficult conditions, our human power and enthusiasm made up for it. There was still much to do, but as we said our goodbyes after three weeks, we left with our initial mission achieved─ the design for the teacher’s quarters finalized and building started. Tick. However, what really transpired in Jamnya was much more than building a teacher’s quarters or fixing leaky taps. For me, it was the human connection made─ both with the local community and the Australian project team. 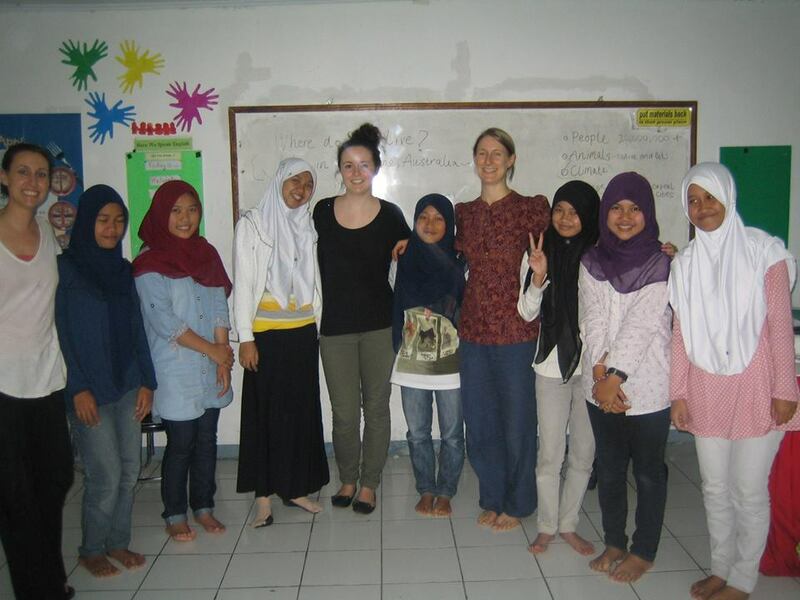 Being the only female in the team, I was fortunate enough to stay with a local family in the school. I shared the house with the father, mother, their son and daughter-in-law. Sunrise and sunset were greeted with smiles, partly due to the language barrier, partly due to language being unnecessary. As the days unfolded, the son, who could speak English, became less shy and we would chat in the evening. I learnt that he was a high school teacher. He recently married his wife, who was twenty-one. He loved cricket. He missed his sister. She had recently passed away, in childbirth. She was only twenty-five. My heart broke. My humble host family had welcomed me into their home despite losing their daughter that Christmas. From the women’s group meeting I learnt that few women had the opportunity to learn beyond primary school. After primary school, girls are needed to help in the home with cooking, chores, farming or looking after siblings. I thought about the only female teacher in the school. I wondered what she and the villagers thought of me. I wondered whether they were comfortable with me travelling with a group of blokes and digging trenches. While we built the foundations of the new teacher’s quarters, I noticed the female teacher mixing up a brown paste in a bowl. She pointed to the cow dung on the ground, her bowl and the holes in the bamboo thatched walls of her existing quarters. She smiled. I stopped digging and offered to help. Together, we mixed cow dung with water and rendered her wall. I let go of my uncomfortable consciousness of being a well-traveled and educated woman. I allowed myself to learn something new. It was a magical moment. Back in Melbourne I stare into the spreadsheet, trying to make sense of the numbers in front of me. I am in a comfortable temperature-regulated building, sipping a strong black tea after a lunch break. I have food, water, shelter, health, loving friends and family. Maslow’s hierarchy of needs is fulfilled, but something does not feel quite fulfilled. Time feels like it is escaping me; there isn’t enough time! But for what? I’m here in Mumbai taking a bit of time off from our busy schedule to write a bit about what we are doing. Those of us working with AAWC have been given the after school time from 4-7.30 to run games and english learning activities with the kids aged 6-18. It’s been so amazing. I feel so inspired by the children who are so strong and loving. Every day we learn something new and I feel like we are having a really beautiful exchange. Although I’ve been teaching some english and other things, I feel like I’m learning more than I could ever have hoped for. 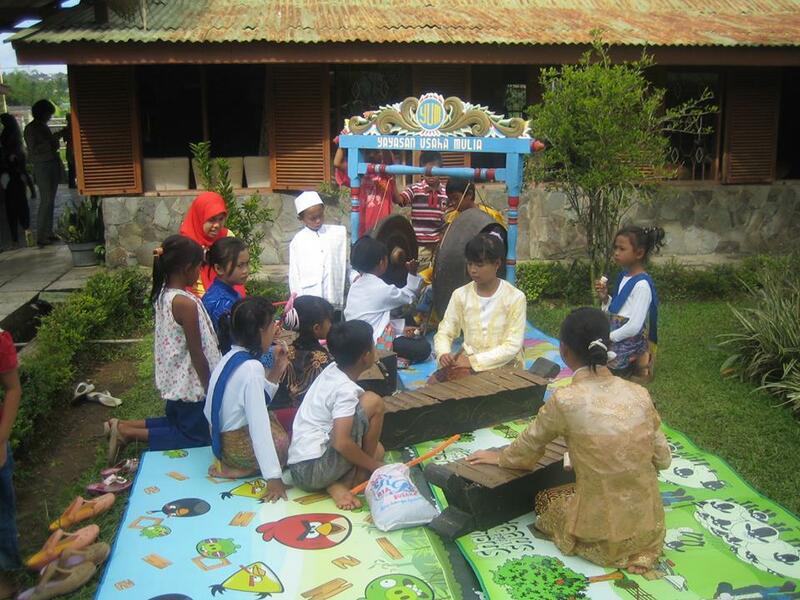 With each activity we present to the kids, they engage so willingly and try really hard. I feel so blessed to have this opportunity to be with them. We had the sports day with the kids yesterday which was great fun! I won the Kangaroo race! It was really great to see the kids so happy and working together. Tomorrow I’m going on an excursion all day to a water park with the kids. I can’t wait, they are so much fun! I’m going to keep it short as there is always way too much to be said but even more stuff to be done! 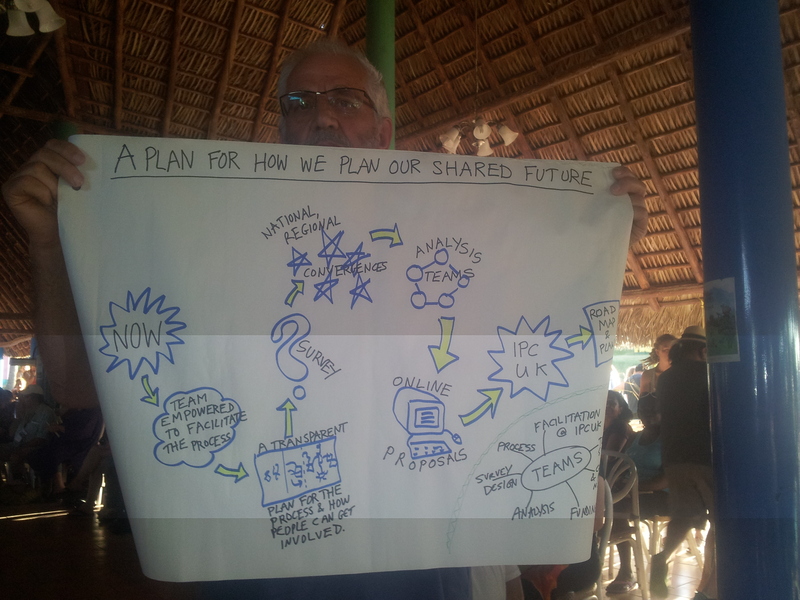 I travelled to Cuba to join the CERES Global 2 week tour (ably lead by Ben), prior to attending the International Permaculture Conference, Convergence and a week of tours to selected permaculture sites. It was significant that the conference was held in Cuba, as Cuba is said to be the best example of permaculture in the world because it is the highest producer of local, organically grown food in a low-energy economy. So what better way to learn how to survive with less energy than to travel in a country that has been doing it since the 1990s, when Russia stopped buying their sugar in exchange for oil? In fact, Cubans on average lost 20kg in weight because of this “special period”. But luckily even the poorest person did not starve because of the ration stores which still exist today. To go into the history of Cuba is it beyond the scope of this blog, but suffice to say that Youtube is a good place to get an idea. 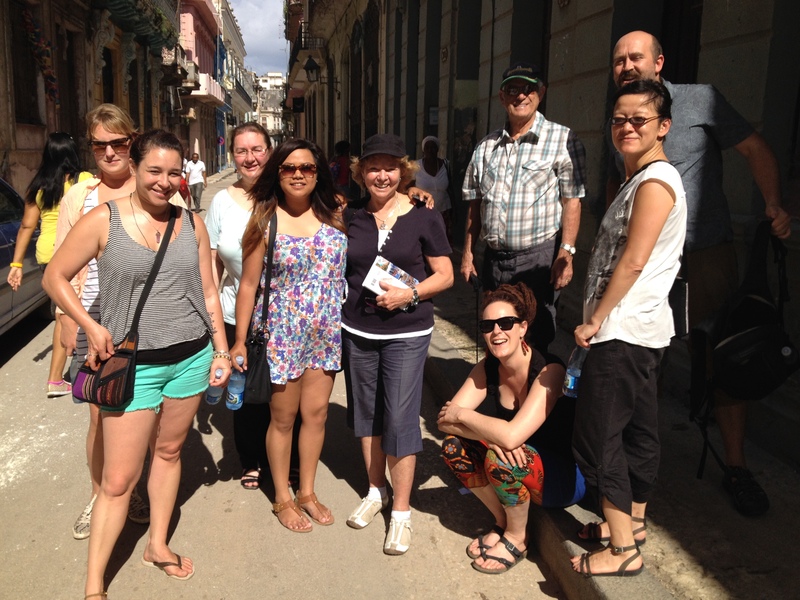 See ‘Power of Community’ and the BBC documentary, ‘The last chance to see Castro’s Cuba’. I was reminded of my own up bringing in rural Victoria in the 1950s. We were poor but self-sufficient subsistence farmers, with pigs in the paddock adjoining the house, large vege garden and milking cows by hand prior to electricity being connected. 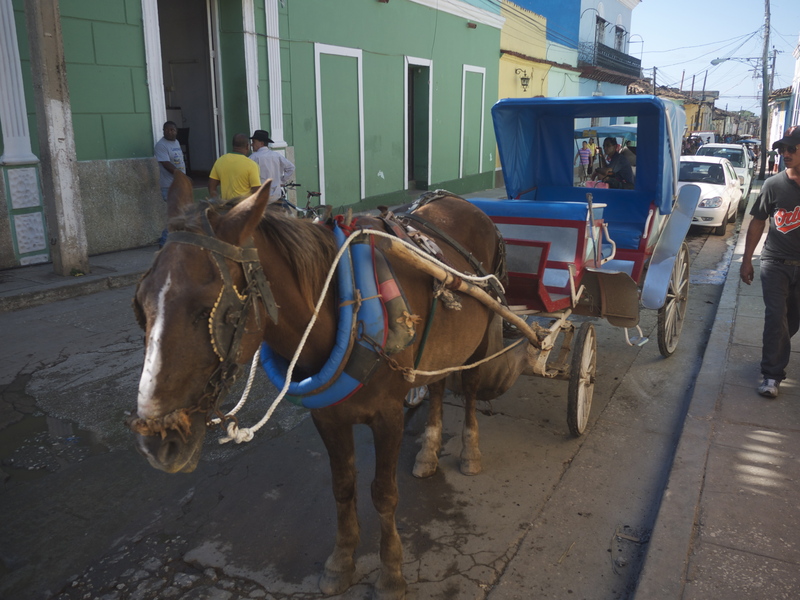 While oil refineries still operate in Cuba to fuel the 1950s vehicles, life is at a much slower pace. No internet to speak of, long queues controlled by security officers at the bank, teleprunter and the even bakery café and reminders everywhere of who is in charge of this socialist state. Farmers ride horses to work their farms and horse and buggies transport people and farm-produce not only in the country but also in the towns and cities. There are relatively few buses, tractors and trucks and old Russian military trucks transport tourists into the mountains. 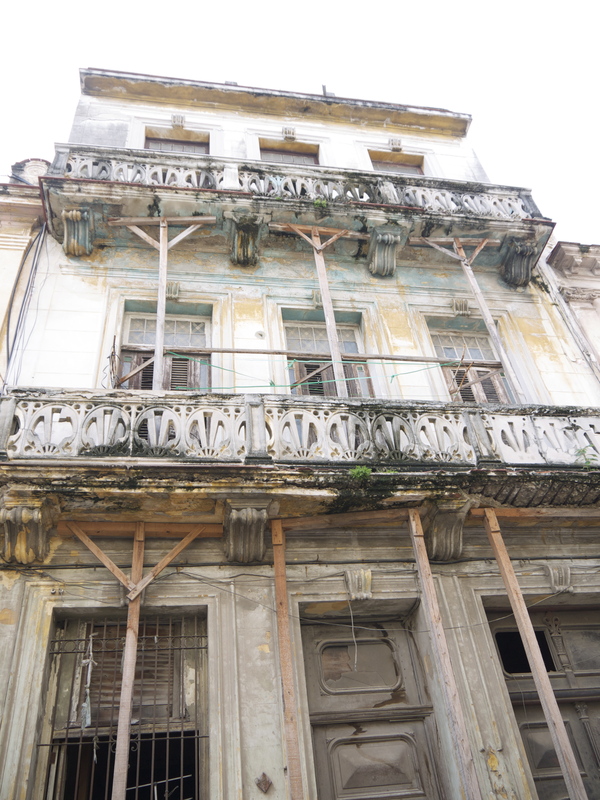 Ancient buildings while still intact are crumbling, but theCubans enjoy free health care and education. The education system is turning out more doctors and engineers than they need and they either find non professional work locally or are sent overseas to earn export dollars for the state. Either way they deal in local pesos which is about a tenth of the value of the CUCs (convertible currency) available for tourists. Because of our interest in permaculture we toured several ‘community / market permaculture gardens, often in the shadow of high rise flats and we also saw some amazing reforested mountains and eco villages designed to managed the impact of increasingly more frequent and severe cyclones and hurricanes in the Carribean Sea. Chemical fertilisers and pesticides are not available and are replaced by organic practices. I certainly recommend this tour to anyone concerned about where the world is headed as we progressively begin to realise that we can no long deny peak oil and the inevitability of energy decent. As a Senior Aide to prime minister Tony Blair from The Energy of Nations said, “The problem …… is that there is nothing in it for politicians. If the early peak argument is right and the peak and its shock hit while you’re in office, your dead. The opposition lie machine will pin the oil crash on you, and there will be nothing you can do to persuade the tabloid-reading public otherwise. Arriving in Jakarta was a welcome relief after what felt like an eternity of travel with connecting flights and stop overs from Melbourne. Waiting in the taxi line for the specifically nominated Blue Bird cab company, I was thrilled to catch up with a fellow CERES Global volunteer Pia, so we could ride together to the hostel where the rest of the group was meeting us for the night. The following morning we were picked up from the YUM Jakarta office and drove approximately 3 hours to Cipanas. 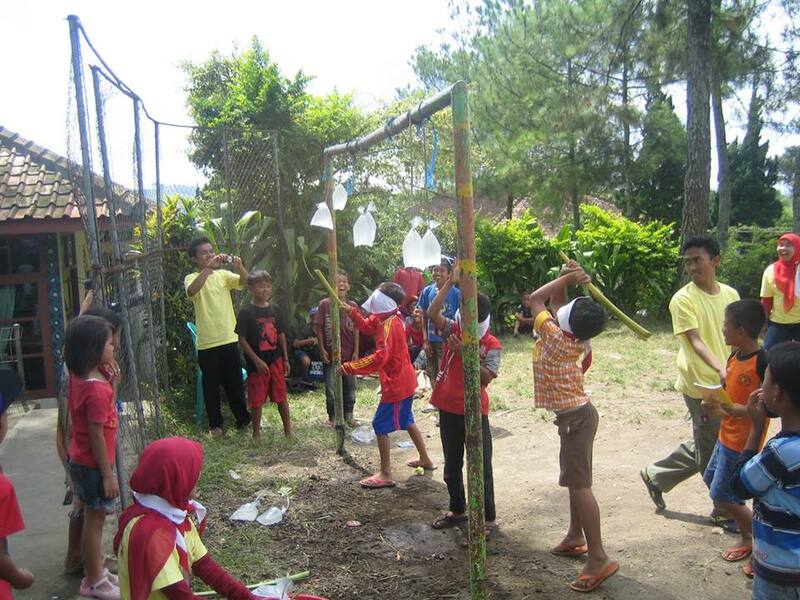 Upon arrival at YUM in Cipanas we witnessed some children’s activities that reminded me of hitting a pinyata at a birthday party, except these kids had plastic bags full of water, and bamboo sticks. 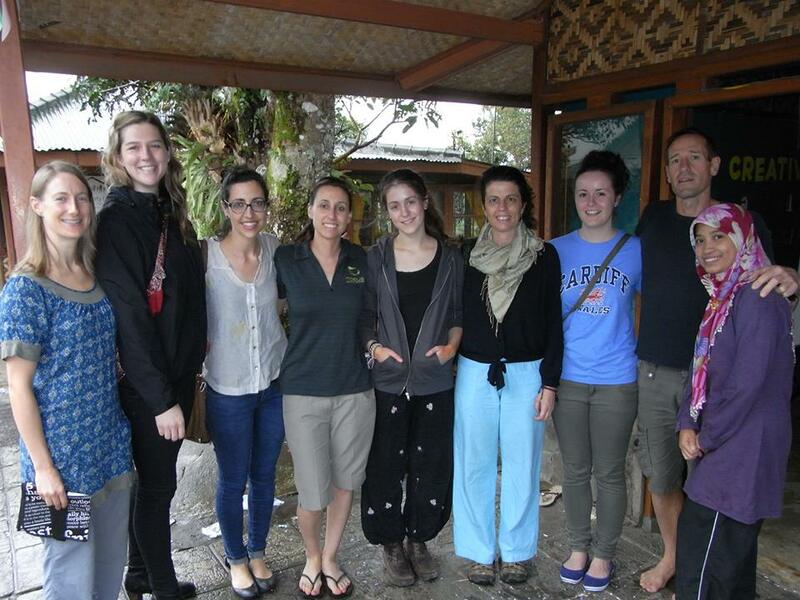 The first few days at YUM we had Bahasa Indonesian classes to assist in reducing communication barriers. A truly enjoyable language to learn, and relatively easy once you get the basics. During this time we also did a walking tour of the immediate local area which included a visit to the local recycling centre, an organic dairy and an organic chicken farm. At the recycling centre we learnt that the business had been in operation over 20 years. They would accept all plastic waste and would pay 1,300rp per kilo they receive, and would on sell it for 2,000 rp, making a profit of 700 rp per kilo. The facility was incredibly basic with all sorting carried out by hand, and one compressing machine to bale the mixed plastics together. At the organic dairy and chicken farm we learnt that it was more financially viable to be an organic farmer as the Indonesian government has made the cost of pesticides so high which encourages organic farming as preferable. 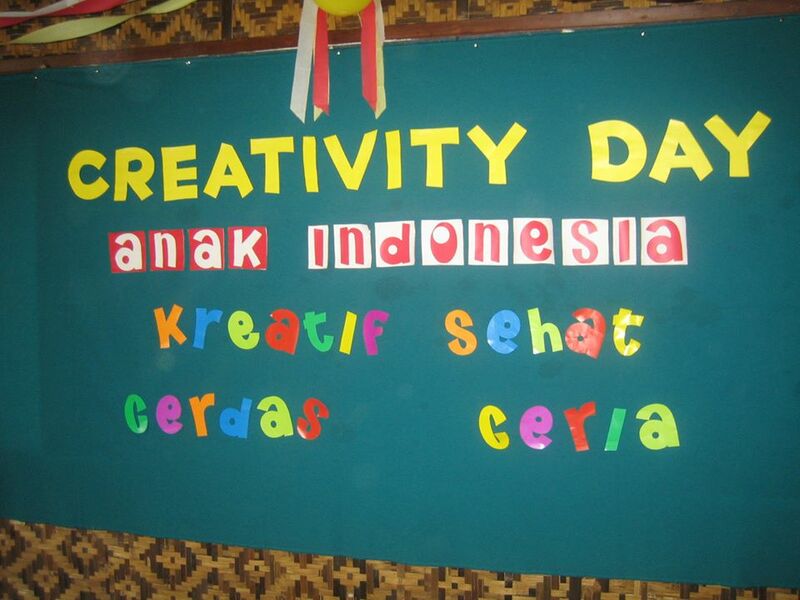 Today we were guests of honor at the YUM Village Creativity Day where all the children dressed in traditional Indonesian outfits, and sang and danced to traditional music. We enjoyed some delicious food and a morning full of creative activities. For the afternoon the CERES Global team held two different workshops with the children focusing on Environmental Education. Using drama, visual arts and creative projects the children explored and discussed the impacts of rubbish pollution in their local community, and the importance of removing litter from the natural environment. I thoroughly enjoyed being part of the Teacher Training held in the Library at YUM on Friday and Saturday. Twenty teachers from the Cipanas region attended two 3/4 days of Environmental and English training so they could further improve the education of their students. 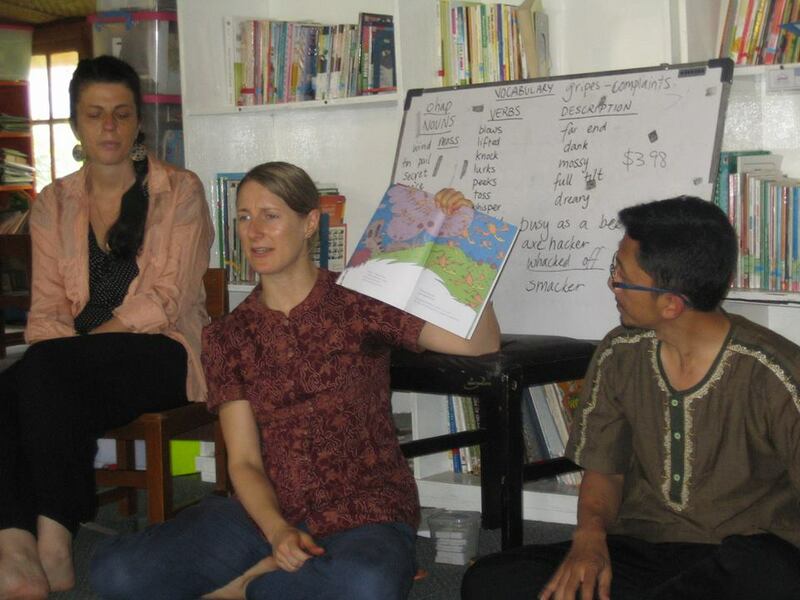 With their own classes ranging from 20 up to 100 primary and / or high school aged students, these teachers welcomed the creative interactions Vanessa introduced to them, which would assist them in teaching English and introducing Environmental Education. 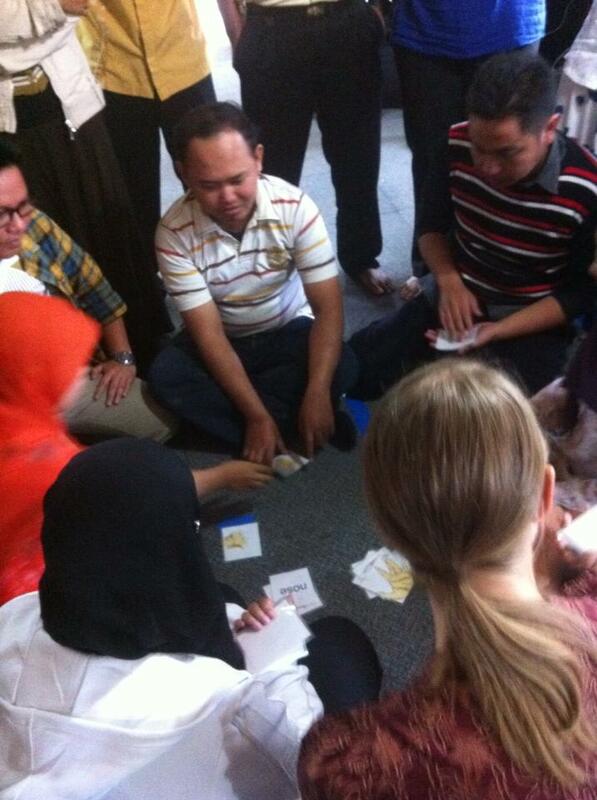 We played a number of games that assisted these teachers with their pronunciation, their spelling and their grammar. I was graciously humbled to be told repeatedly how valuable these sessions were for the teachers, how grateful they were that we had traveled all the way from Australia to assist them in their learning. This was probably the most enjoyable part of the trip for me so far. 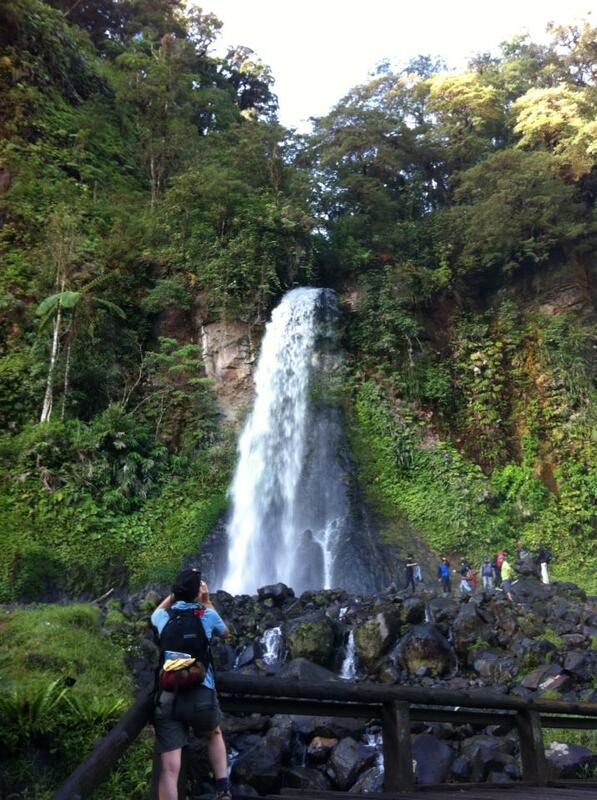 Today was the day we tackled the 23km climb (12 hours) up the great Gunung Gede. 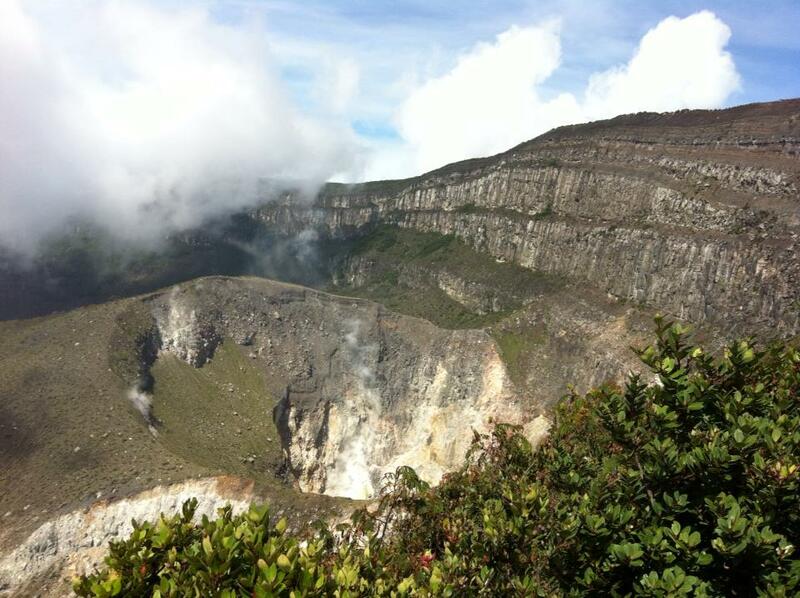 An active volcano that overlooks Cipanas. I wont lie.. this was a killer of a climb. Next week we’re heading to Kalimantan on the Borneo island, to work with another YUM centre. We’ll write another blog update then!